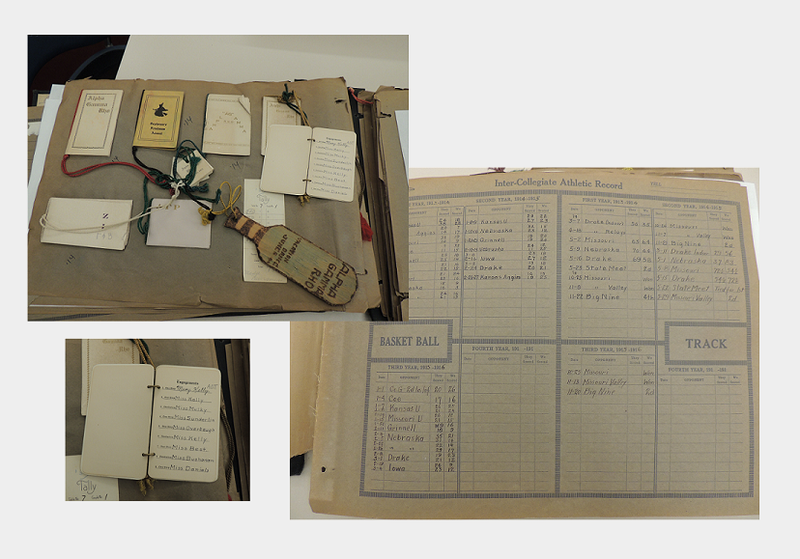 Here in Special Collections we have a number of alumni scrapbooks and photograph albums. 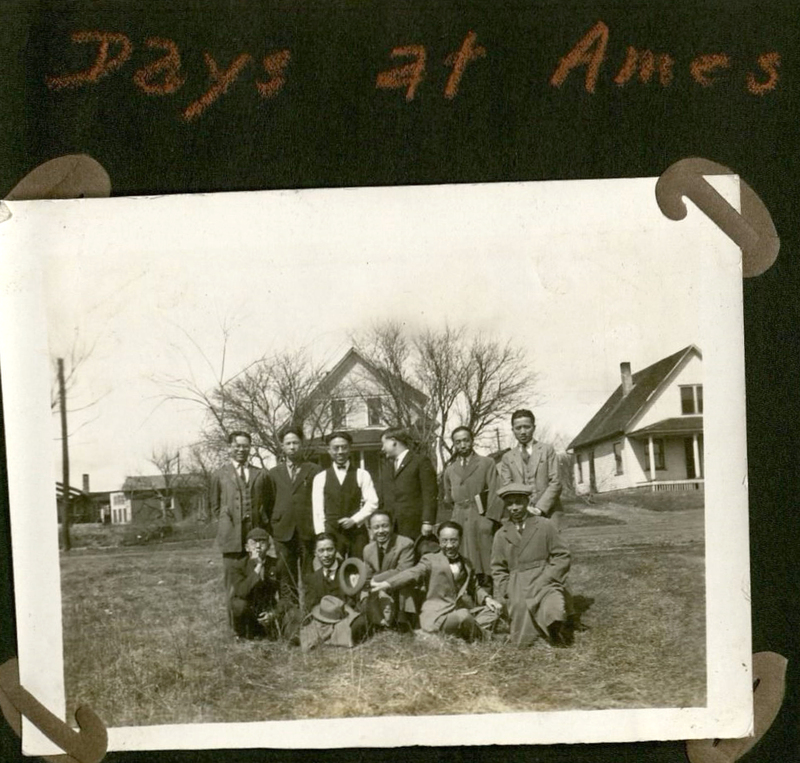 These materials provide insight to what it was like to be a student at Iowa State University across the decades. Fan-Chi Kung was a Horticulture student (B.S. 1926) originally from Beijing (then Peking). His scrapbook is full of pictures of himself and friends both on campus, around Ames, and travels around the United States. 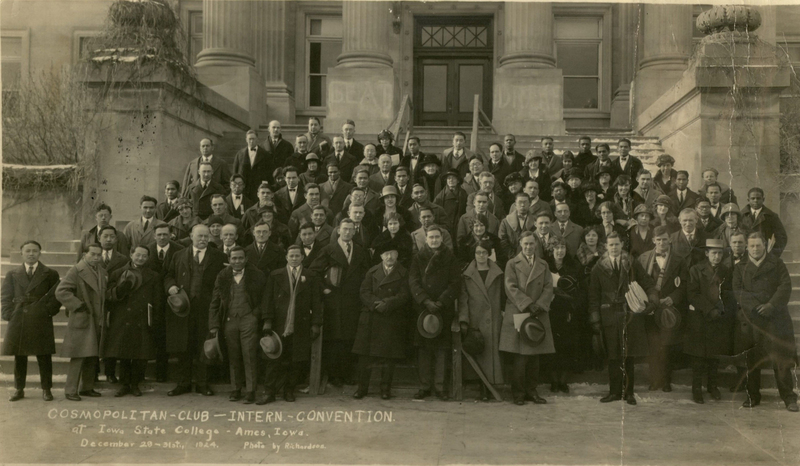 While at ISU, Kung was President of the Cosmopolitan Club and President of the Ames Chinese Students’ Club. He held international service roles as Secretary of the Chinese Association for Advancement of Science, American Branch, and the Agriculture Society of China, American Branch. Kung was tragically killed in an automobile accident in 1929. He is buried in the Iowa State University Cemetery. His grave marker reads “Above all nations is humanity,” the motto of the Cosmopolitan Club. Cover of The Moon is Red by Helen Sue Isely, published 1962. MS-352, Box 2, Folder 8. So begins the poem, “The Open Door,” by Helen Sue Isely in her book The Moon is Red. April is the month to swing open Iowa doors to the growing warmth of the sunshine after the snows of winter. (Never mind this week’s rain!) April is also the time to celebrate “poetry’s vital place in our culture” during National Poetry Month. Iowa State may best be known for its agriculture and science programs, but it is not without its contributions to poetry, one of which is Isely. Helen Sue Isely was born in Fayetteville, Arkansas, in 1917, but she moved to Ames in 1945 with her husband Duane Isely, ISU Professor of Botany, and spent the rest of her life here. She published more than 800 poems in over 200 literary journals and magazines, including such well-known titles as Southwest Review, Antioch Review, and The McCalls Magazine. Her book of poems, The Moon is Red, was published by Alan Swallow in 1962, and won the first place award for poetry from the Midland Booksellers Association. Her other honors for poetry include those from the Iowa Poetry Association (1955-1958, 1961-1963), the Georgia Poetry Society (1954), and the South West Writers Conference (1956, 1959). To learn more about Isely and read her poems, check out the Helen Isely papers, MS 352. Front cover of the first volume of Poet and Critic under Gustafson’s editorship. Vol. 1, No. 1, Fall 1964. In 1964, ISU Professor of English Richard Gustafson revived the literary journal Poet and Critic, publishing it through the Iowa State University Press. 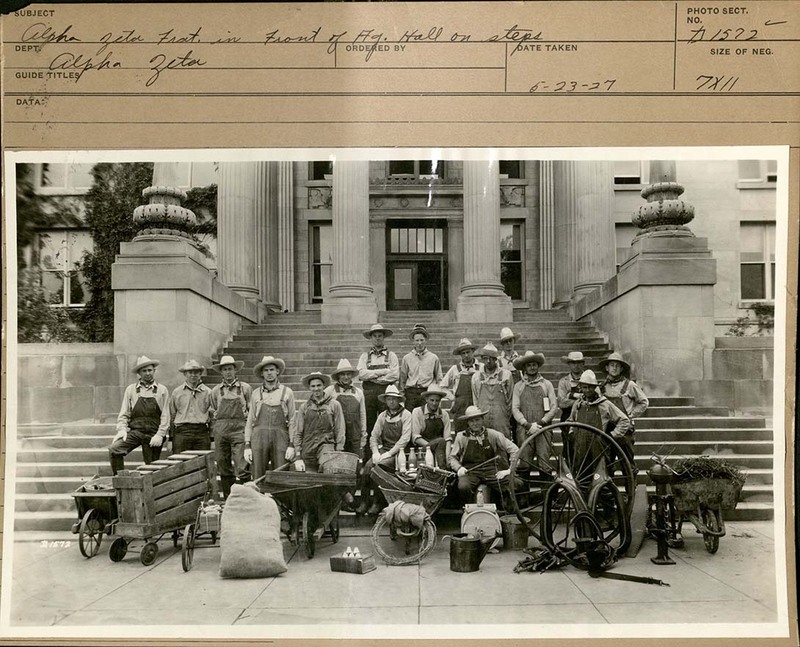 The journal had been founded three years earlier by William Tillson of Purdue University. Unable to keep it up with multiple demands on his time, Tillson ceased publishing it after only a couple of years. With the aid of a grant from the President’s Permanent Objectives Committee, Gustafson took the journal under his wing and revived it. The magazine’s rebirth was greeted with enthusiasm by those who had been familiar with it under Tillson’s editorship, and many supporters sent in letters of support, such as this beautifully illustrated note from Menke Katz, editor of Bitterroot, a quarterly poetry magazine. 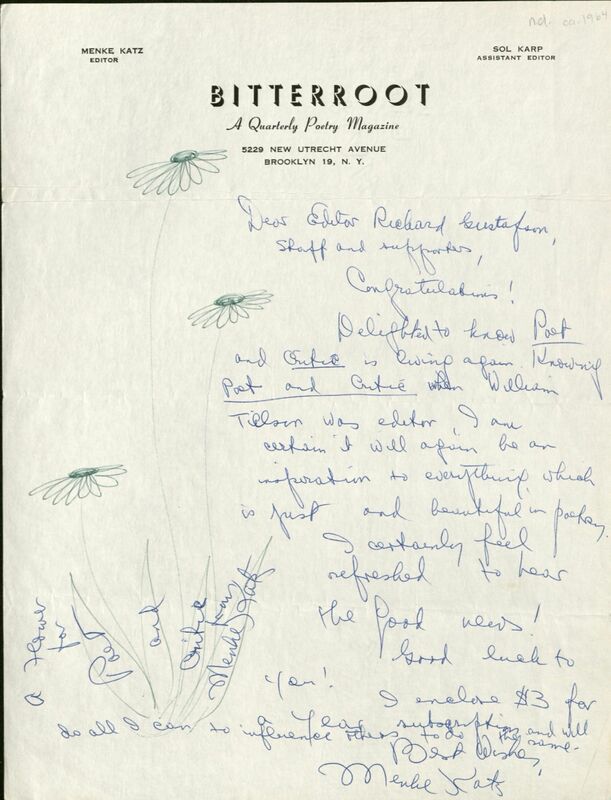 Letter from Menke Katz, editor of the poetry magazine Bitterroot, to Richard Gustafson, ca. 1964. Poet and Critic Manuscripts File, RS 13/10/0/5, Box 1. “Delighted to know Poet and Critic is living again. Knowing Poet and Critic when William Tillson was editor, I am certain it will again be an inspiration to everything which is just and beautiful in poetry. I certainly feel refreshed to hear the good news! Good luck to you! I enclose $3 for a year subscription and will do all I can to influence others to do the same. The text around the flower, reads, “A flower for Poet and Critic from Menke Katz.” (Poet and Critic Manuscripts File, RS 13/10/0/5, Box 1). Poet and Critic had a unique mission, not only to promote the work of lesser-known poets, but also to encourage better craftsmanship among the poets, and to do this, they encouraged the contributors to comment on each others’ work. Each poem published in the magazine was followed by one or two short critiques, thus opening up a conversation around the poem. This explains the title, as well as the journal’s tagline, “magazine of verse/a workshop in print/a forum of opinion.” Contributors include the well-known poet Robert Bly, Ted Kooser, Leonard Nathan, Colette Inez, Robert Lewis Weeks, and the aforementioned Helen Sue Isely. Various issues of The Salt Creek Reader, from the Richard Gustafson Papers, RS 13/10/53, Box 1/Folder 7. A discussion of ISU poets would be incomplete without mentioning Ted Kooser. An ISU alum (1962), Kooser served as Poet Laureate for the United States (2004-2006) and won the Pulitzer Prize for Poetry in 2005 for his book Delights and Shadows. He teaches as a Visiting Professor of English at University of Nebraska, Lincoln. As you celebrate National Poetry Month, feel free to stop by Special Collections to examine these and other collections. Happy reading!